Before you decide on a thermal imager, learn about the different offerings from the experts at Fluke. Understand the importance of image quality, how to better manage your data, how our tools are designed for your work environments and the ROI you can expect from thermal imaging. Learn about innovative solutions that make it so simple and easy to capture, analyze and manage thermal images. Find out why hundreds of thousands of professionals chose Fluke thermal imaging. 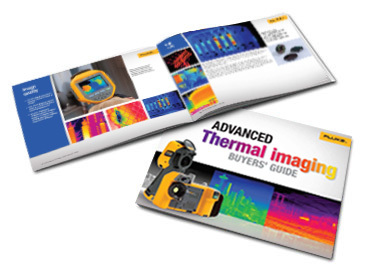 Download the 2018 Advanced Thermal Imaging Buyers' Guide. Compare all of the Fluke infrared camera models to help identify the right tool for your application.